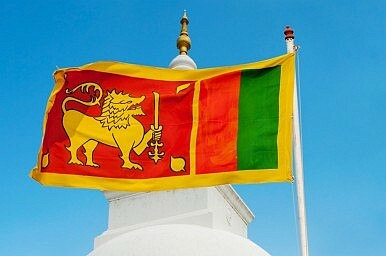 Unfortunately, Tamils residing in war-torn Sri Lanka’s north and east are facing a period of heightened repression. A recent spate of arrests in these Tamil-dominated locations is very troubling. What does this actually mean and what might one look for in the weeks ahead? It appears that these arrests are being made on (extremely questionable) national security grounds. Some of those arrested are former members of the Tamil Tigers, the group that spent nearly three decades fighting Sri Lankan government forces for a separate Tamil state in the northern and eastern parts of the country. With end of war commemorative events right around the corner (the country’s brutal civil war ended on May 18, 2009), there are well-founded concerns that government repression will continue in the coming weeks. “It seems likely that the current crackdown is intended to reimpose a climate of fear in the North-East, especially in the run-up to May 18,” says Arulthas. In spite of all the promises and proclamations, Colombo’s official plans for transitional justice are still in their embryonic stages. Besides, a reality check seems to be in order, especially when it comes to ongoing human rights violations across the Northern and Eastern provinces, which remain heavily militarized. Maithripala Sirisena was sworn in as president in January 2015. How confident could the Tamil community feel about transitional justice when fundamental freedoms are consistently violated? By failing to make smaller gestures that matter (such as releasing or bringing to trial all Tamil political prisoners), is it realistic to believe that Colombo is serious about more significant changes? Whether the administration of Barack Obama and others decide to discard their panglossian approach remains to be seen, but members of the international community have been forewarned. “The [Sri Lankan] government’s repeated assertions of its sincerity with regards to widespread reforms will be put to another test over the next weeks,” notes Arulthas.